Bourgeois of Paris in the 16th century. 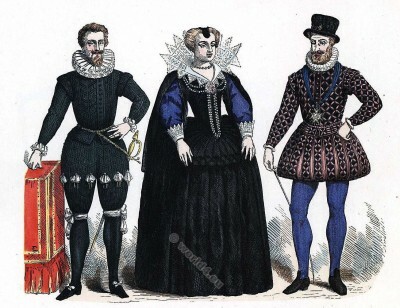 This entry was posted in 16th Century, France, Renaissance and tagged Costumes civils et militaires des Français, Renaissance fashion era on 6/1/16 by world4. 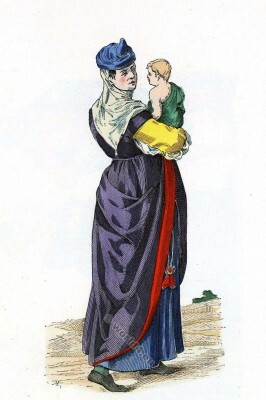 Woman of Bayonne. Region Aquitaine. 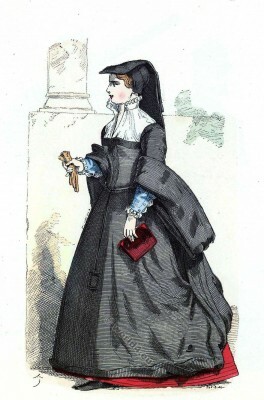 Woman of Bayonne. Region Aquitaine. 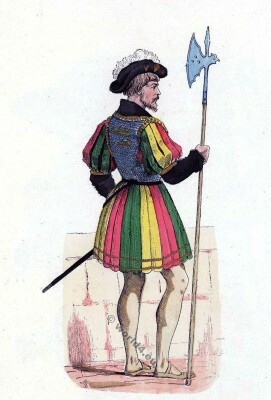 16th century costume. Woman of Bayonne. Region Aquitaine. 16th century. According to an engraving of the French National Library. This entry was posted in 16th Century, France, Renaissance and tagged Costumes civils et militaires des Français, Renaissance fashion era on 5/27/16 by world4. Bodyguard of French king Francis I.
Bodyguard of French king Francis I. 16th century. 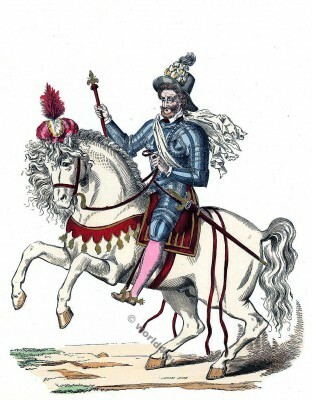 Bodyguard of French king Francis I. 1515 to 1545. Renaissance. 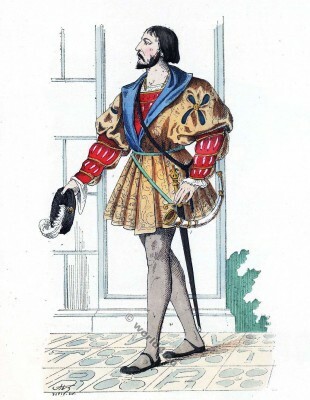 According to a miniature of the time by Gaignièrs. This entry was posted in 1520, 16th Century, France, Military, Renaissance and tagged Costumes civils et militaires des Français, French military uniforms, Renaissance fashion era on 5/21/16 by world4. Marchand of brushes. Boilermaker. 16th c.
Marchand of brushes. Boilermaker. 16th century. 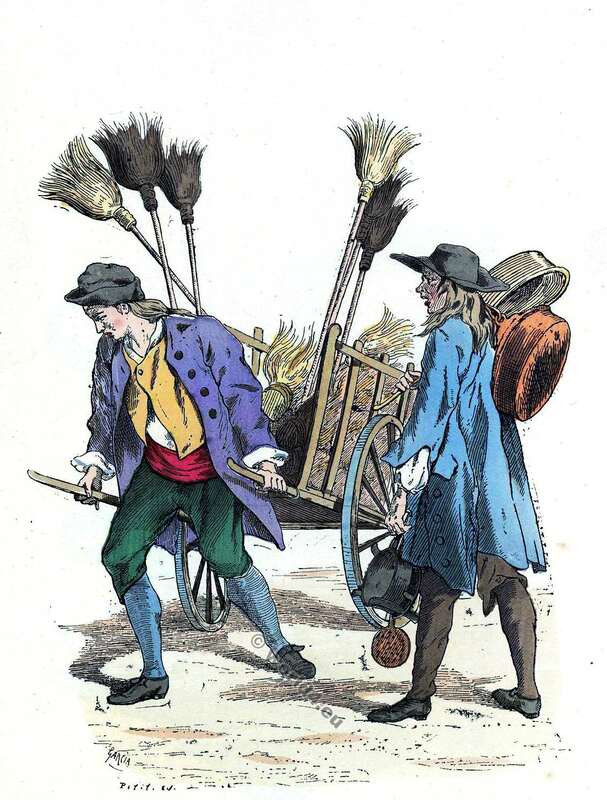 Marchand of brushes. Boilermaker. 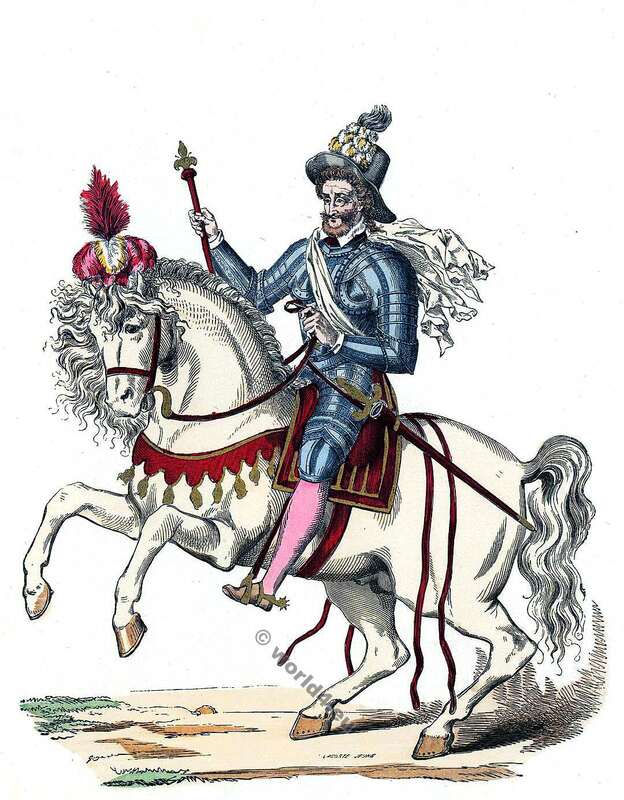 Reign of Henry IV. 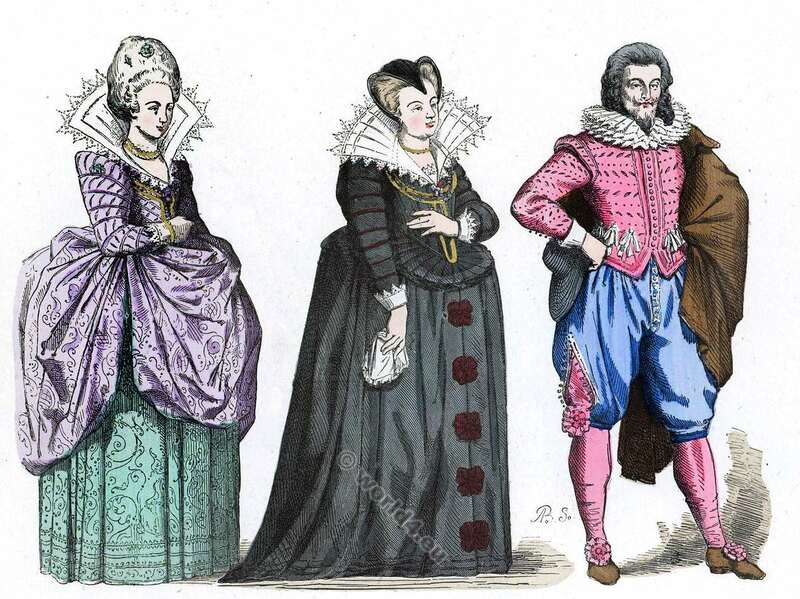 This entry was posted in 1590, 16th Century, Ancien Régime, France, Renaissance and tagged Costumes civils et militaires des Français, Renaissance fashion era on 5/15/16 by world4. 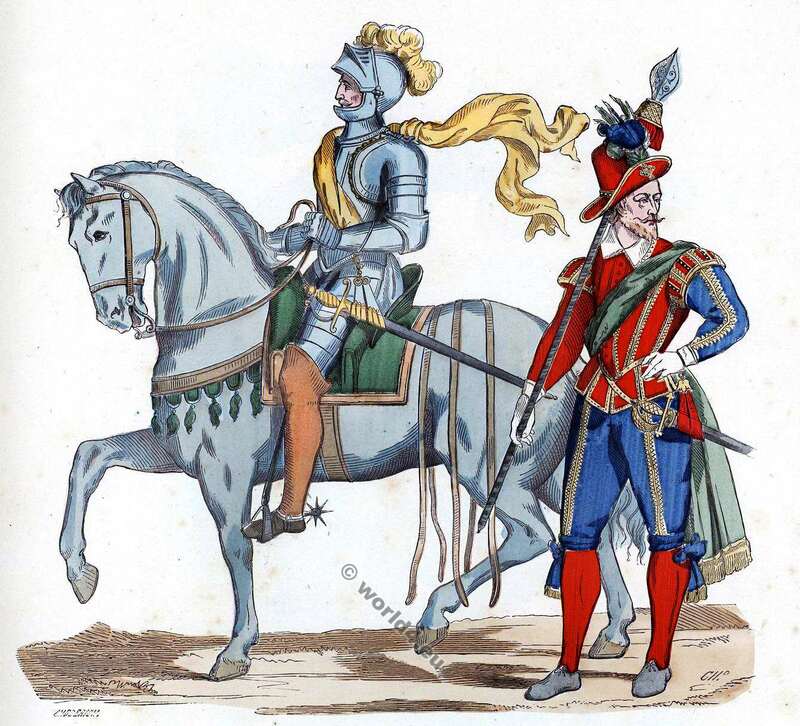 Musketeer and an infantry officer. 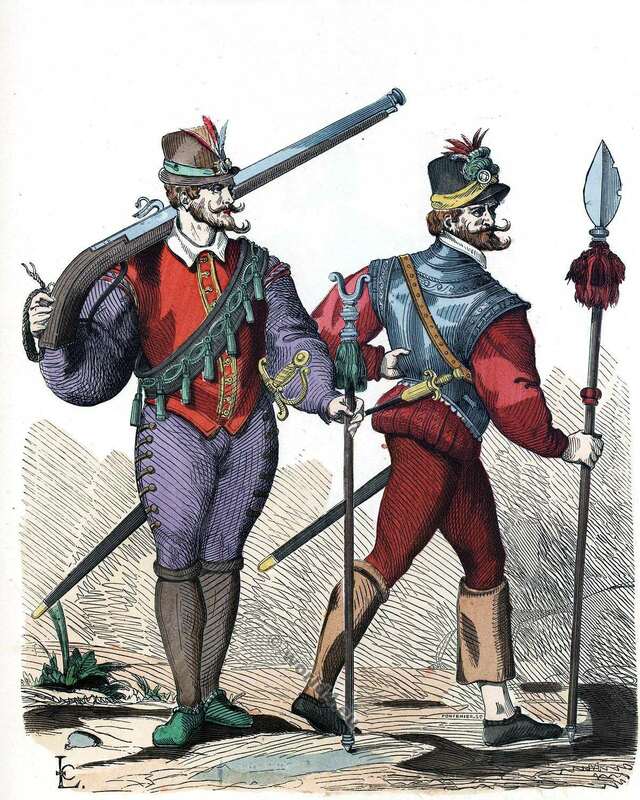 Musketeer and an infantry officer in the 16th century. According to the book of Willemin. Renaissance era. This entry was posted in 16th Century, Ancien Régime, France, Military, Renaissance and tagged Costumes civils et militaires des Français, French military uniforms, Renaissance fashion era on 5/12/16 by world4. 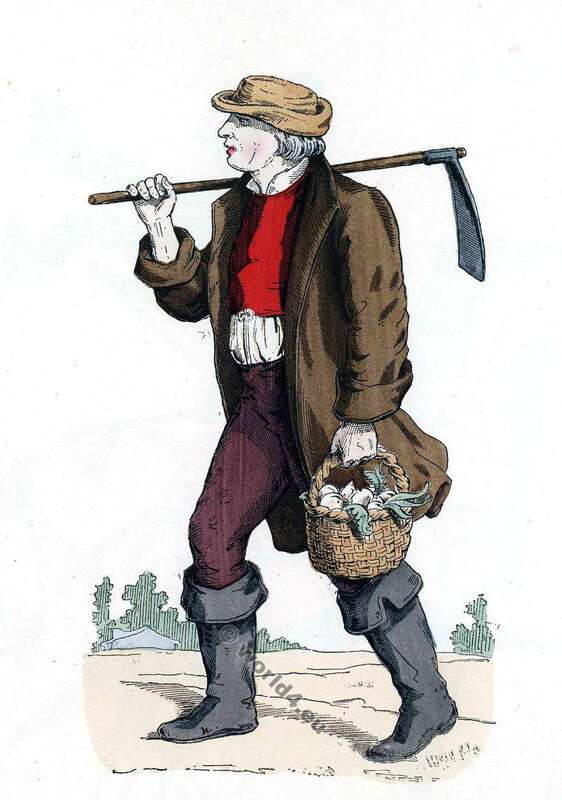 French peasant farmer from the 16th to 18th century. Taken from the Collection of the diversity of clothes, according Chevignard. This entry was posted in 17th Century, 18th Century, Ancien Régime, Baroque, France and tagged Baroque fashion, Costumes civils et militaires des Français on 5/9/16 by world4.